Guangzhou was the principal destination of my trip back to China. It’s my birthplace, and some of my close relatives still live here. Before getting to Guangzhou, we took a flight that transferred through Shanghai’s Pudong Airport. Pudong is a huge modern airport, but the problem is it’s designed so that a 200+ people on a trans-Pacific flight had to get off the plane onto the tarmac and wait for shuttles to transport them to customs. On that night, this procedure was made worse by the fact that it was raining, so the people who couldn’t get on the first bus had to wait underneath the plane. Why can’t they build a light rail system into the airport to make things easier? 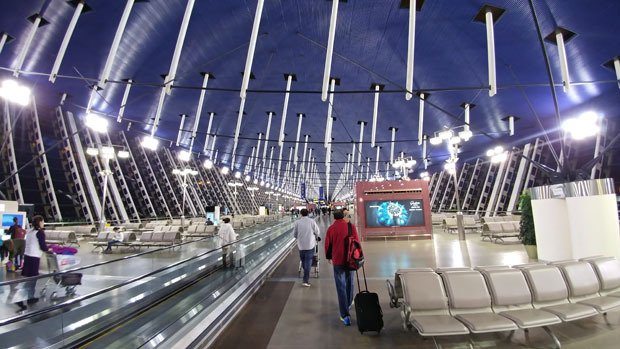 Shanghai Pudong Airport is impressively large. My little rant aside, back to Guangzhou. Guangzhou is the capital of the Guangdong province. Located on the northern tip of Pearl River Delta, Guangzhou is a huge city of 14 million people. Due to how Chinese cities are defined, Guangzhou comprises of a large area, but most of it is urban areas with lots of people. 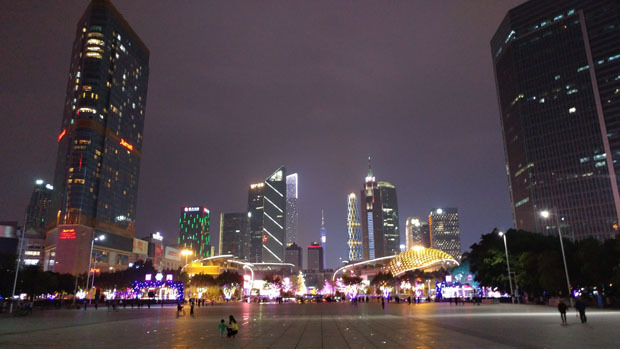 We stayed in the Tianhe area, which is one of the newer and more modern areas of the city. Centered around the athletics plaza with sports stadiums and facilities, the area has several multi-story shopping centers plus a huge interconnected maze-like underground mall underneath the sports plaza. The underground mall is so expansive that I only begun to figure out the directions of what leads to where. 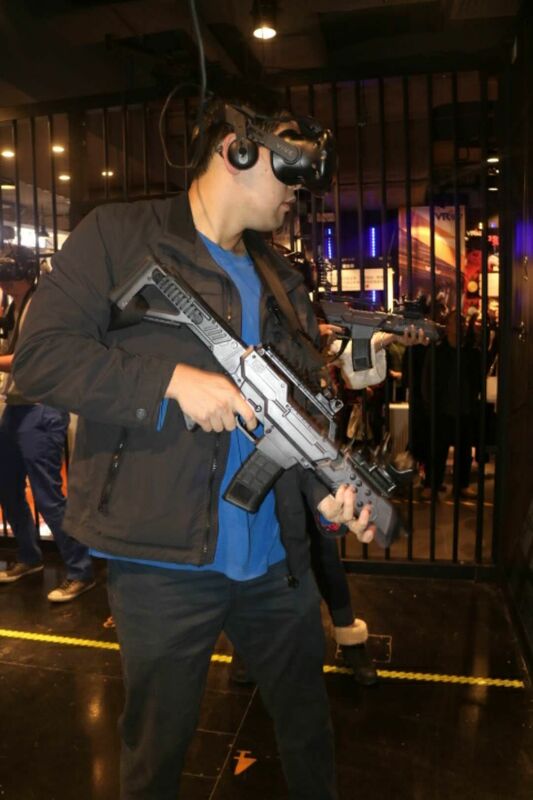 And like most places in Guangzhou, there are plenty of people everywhere, although the Tianhe area, in particular the underground mall, caters more to the younger crowd. 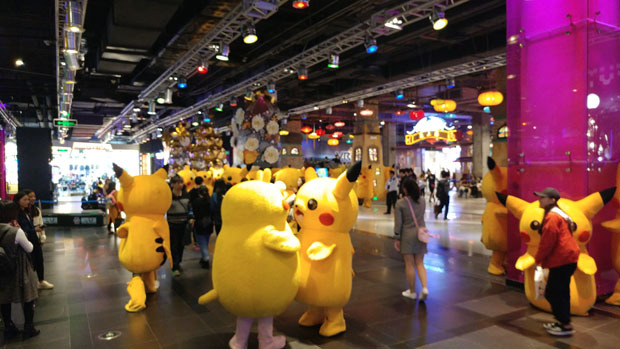 A Pikachu meetup in the underground mall. The underground mall is a maze of shops of eateries where one can easily get lost. One cannot come to Guangzhou and not get dimsum. 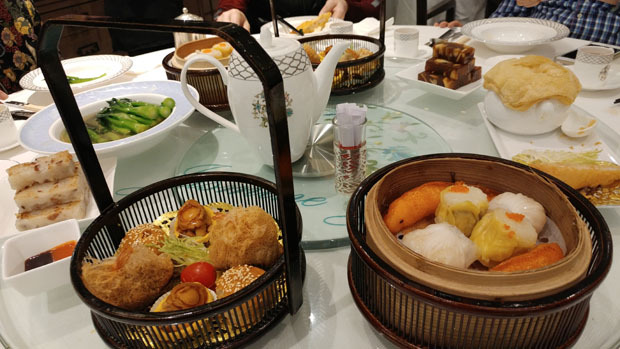 Dimsum originated from the area. There are just countless shops and eateries packed into that area. The sports plaza is the northern end of what is called the “New Centerline” of the city, which extends south from the athletics plaza all the way down south to the Pearl River. The corridor is lined with tall modern skyscrapers, punctuated by two 100-story buildings by the the river, just across the water from the Canton Tower. 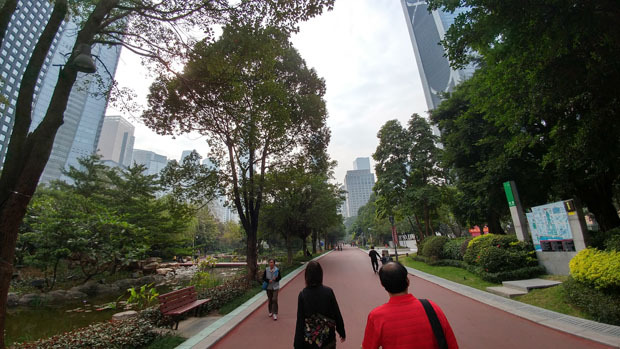 A beautiful urban park called the Flower City Plaza (Flower City being one of Guangzhou’s nicknames) takes up most of the corridor, and this made for a nice stroll from where we were staying down to the river. Flower City Square provides valuable green space right down the new center line of Guangzhou. The old part of Guangzhou with some historical buildings. 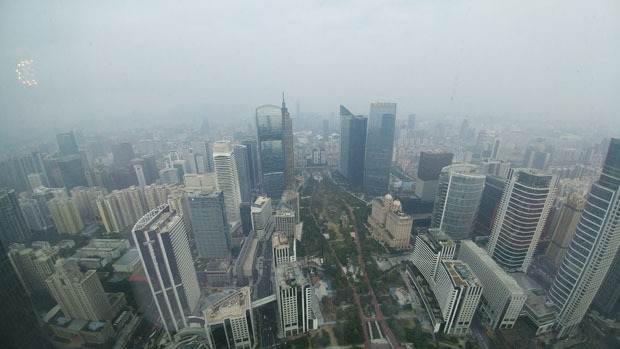 Guangzhou has always been a big city, but of course China has undergone rapid development in the last two decades. I was in Guangzhou in 2010 and don’t remember it that well, but I was pretty impressed with the newer areas of the city. We visited some of the older parts of the city. We went to the Dongshan area where the buildings are in general shorter and older. The character of the area is completely different than Tianhe, but there are still plenty of people and businesses around. We strolled over to Lake Dongshan park, which has a good-sized lake and provides some much needed green and (relatively) quiet space in the otherwise busy district. 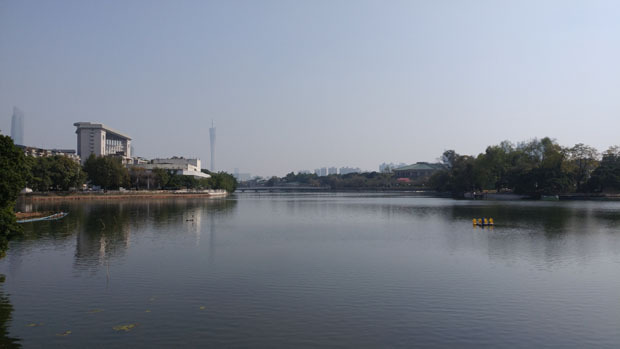 The tranquil Dongshan Lake provide a quiet spot in the hustle and bustle of Guangzhou. Speaking of the older parts of town, we visited Yuexiu Park and the nearby areas. Yuexiu Park is probably the most well-known park in the city and covers the area around Yuexiu Hill. 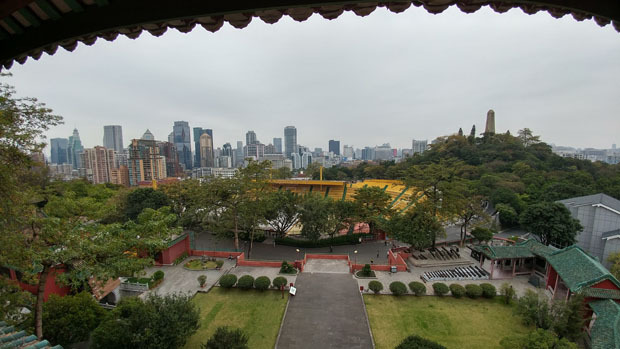 During the imperial days, Guangzhou consisted only of land south of the hill, and the 5-story Zhenhai Tower on top of the hill was the highest point in the city. 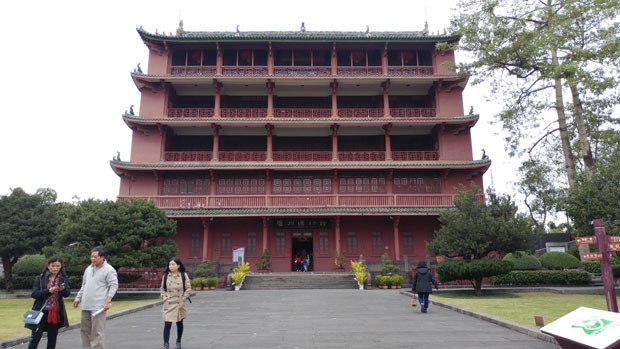 Today, Zhenhai Tower houses Guangzhou’s History Museum, and I learned a lot of what I’m writing here from visiting the museum. 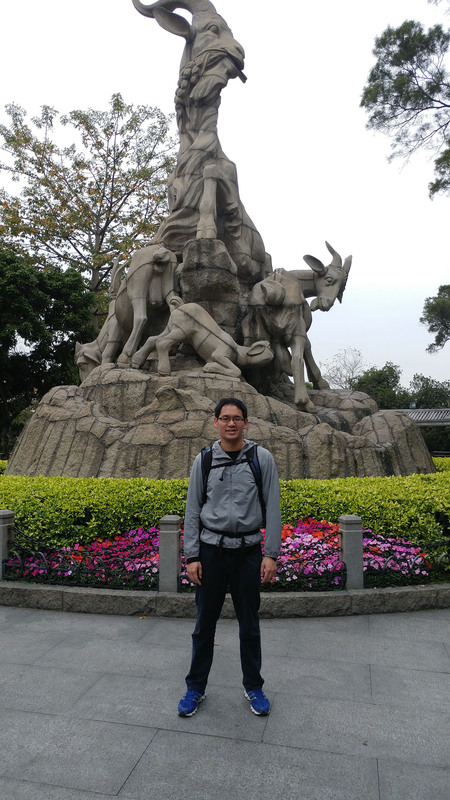 Other than the tower, Yuexiu Park also contains the famous Five Rams Statue that is basically a symbol of Guangzhou. The statue is actually five goats, but for reason the English translation is rams, and Guangzhou is known as “the City of Rams” among other nicknames. Yuexiu Park is fairly large park and has plenty of other activities including boat rides and what looked like a small roller coaster, but most of it is covered by lush green forest so it’s a good place in the city to enjoy a little bit of nature. A view of Guangzhou’s City Hall from People’s Park across the street. 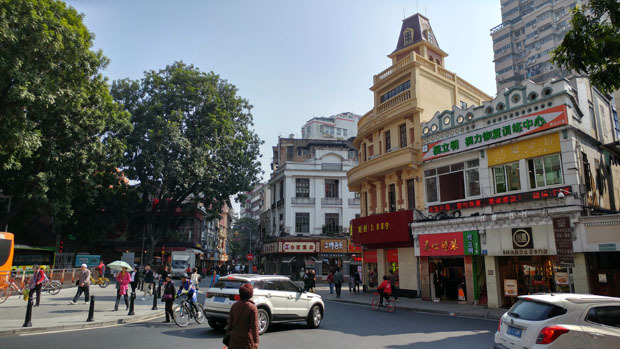 The area south of Yuexiu Park is the historic part of the city, and the center of Guangzhou prior to the build-up of Tianhe and the more modern areas to the east. 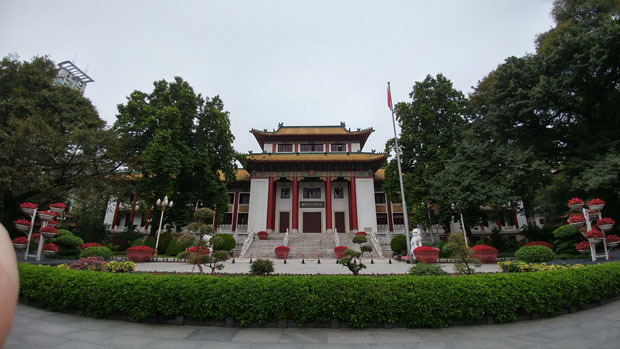 The Yuexiu area contains the People’s Park, at the north end of which is Guangzhou’s city hall. Interestingly, People’s Park is also on top of underground shopping center that has many stores catering to the otaku culture, such as video games, Gunpla and figurines from anime and manga. Not far from the park is the Beijing Road pedestrian shopping street. 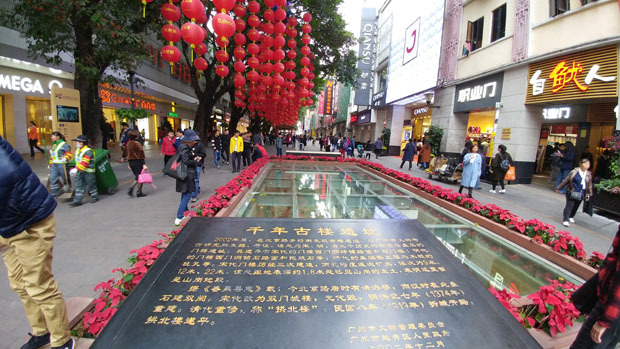 Beijing Road is one of the oldest roads in the city, and there are display windows showing the different layers of the road beneath ground, ranging all the way back to the Song Dynasty. I spent a large portion of this trip in Guangzhou, but it’s such a huge metropolis that there are plenty of sights that I didn’t get to. On the top of my list are the top of Canton Tower, and Baiyun Mountain to the north of the city. Hopefully I’ll be able to visit more often and not just show up once in a decade or two. 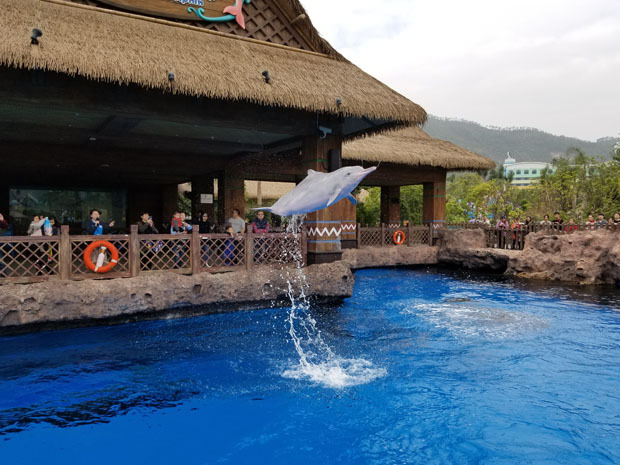 Located on the southern tip of the city of Zhuhai on the western shore of the Pearl River Delta, Chimelong Ocean Kingdom is a large aquatic-themed amusement park and resort. The park is located in a developing area of Zhuhai called Hengqin, which is just west of Macau. Having spent most of my days up to that point in the very developed and metropolitan areas of Guangzhou, the bus ride to Hengqin opened up some new landscapes. We saw the country side with short houses and small apartment buildings, interspersed with the occasional new developments with bunches of 20+ story condos and office buildings. The contrast of the rural and the urban right next to each other is startling. China is still developing and they are building fast. Have you ever seen white dolphins fly? 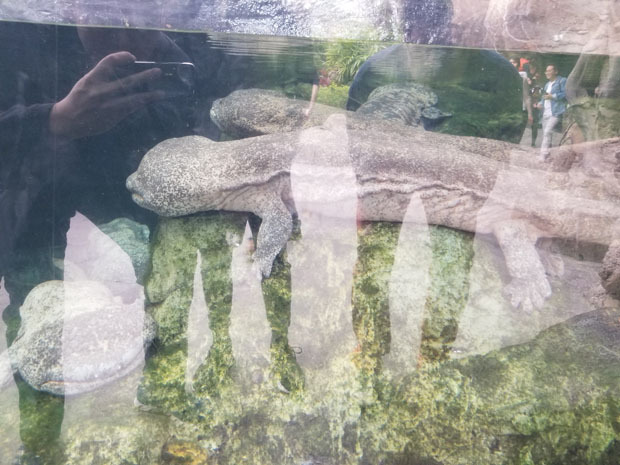 Super rare Chinese giant salamanders are not rare in this aquarium. Couple of grumpy walruses trying to spit water at us. 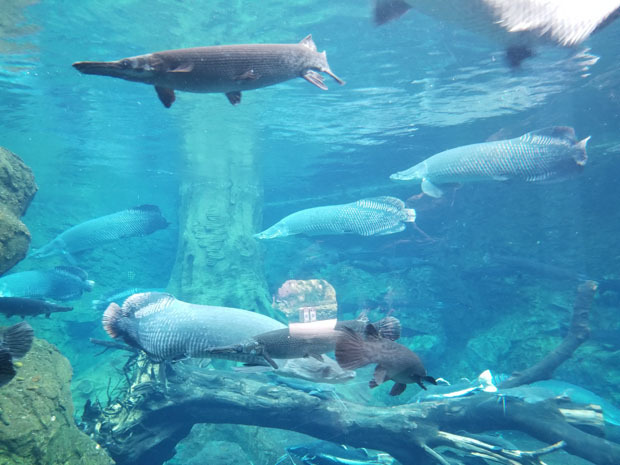 Back to Chimelong Ocean Kingdom, it is well-known for having some of the most impressive aquariums in the world, including the world’s largest oceanarium. There are a couple of fun amusement rides as well. We went just after New Year’s Day, and the place was not crowded at all which was great, since we didn’t have to contend with large crowds and wait in long lines. The animal exhibits are the most impressive exhibits that I have ever seen. The fresh water zone had who knows how many arapaimas, sturgeons, and other impressive and rare fish, plus a couple of manatees to boot. They also had a tank with half a dozen giant Chinese salamanders which were the size of small crocodiles. The crown jewel of the aquatic displays was of course the oceanarium, boasting the world’s largest acrylic viewing window. I’ve been to the Georgia Aquarium which is the largest aquarium in the Western Hemisphere, and Chimelong Ocean Kingdom has exceeded that. 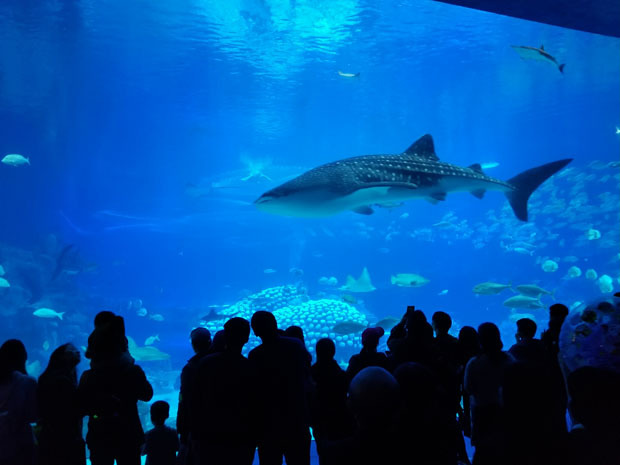 That huge saltwater tank has half a dozen whale sharks, some of which are about 20 ft long. There were also a countless number of large rays, groupers and other ocean-faring fishes. I could probably sit at the viewing window for half a day being mesmerized by the whole thing. The same is true for the viewing walkway underneath the tank, where there is a dome-like viewing room for people to sit and feel as the ocean is all around them. 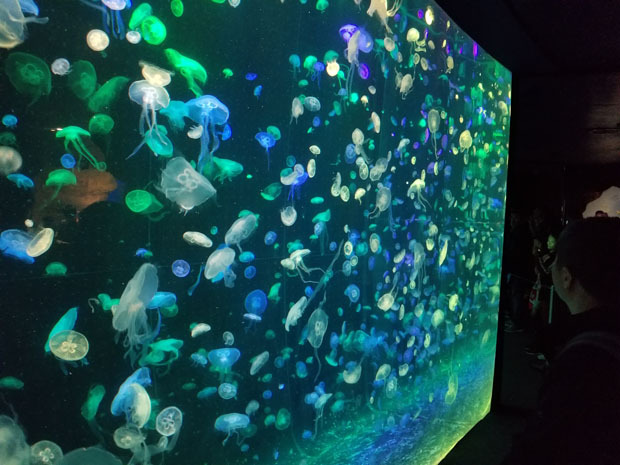 They basically built the biggest aquarium tanks in the world and stuffed as many rare and large fishes into them as they can. Ecologically correct? probably not, but definitely impressive. 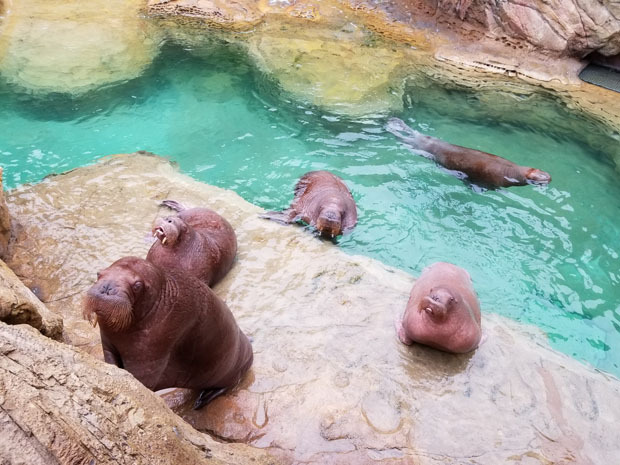 If that was enough, the park also has plenty of other aquatic animals, including penguins, pinnipeds, and bears. Most impressive jellyfish wall I’ve ever seen, and may ever will see. The star of the oceanarium… one of the six whale sharks in the tank. 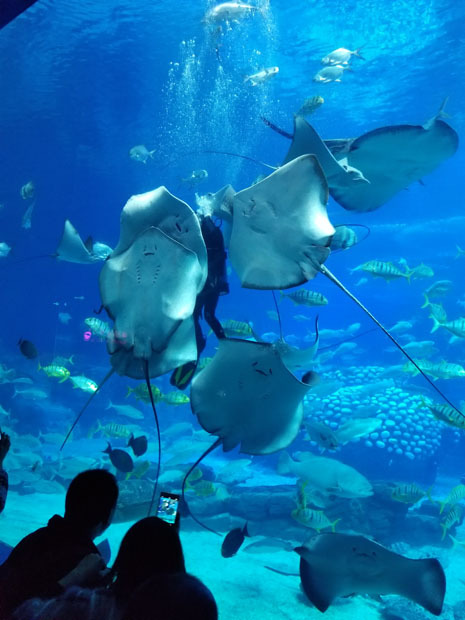 A diver getting mobbed by giant rays during a feeding demo. 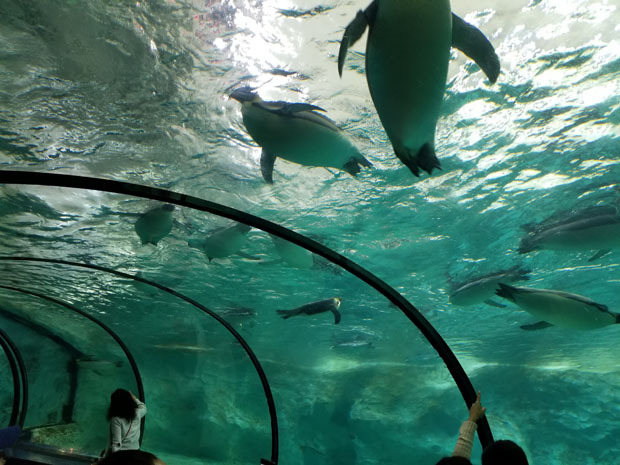 The penguin exhibit is so big that it has its own underwater tunnel. The aquarium section of the park were awesome, but the animal shows were pretty impressive too. 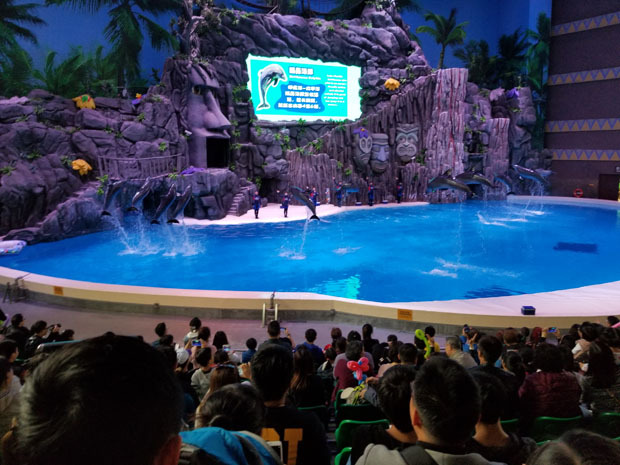 They had a dolphin show and a sea lion show (guest starring some walruses) that had some of the most impressive dolphin and seal tricks that I’ve ever seen, and a small show involving rare white river dolphins doing jumps. The most memorable show for me was the beluga show. 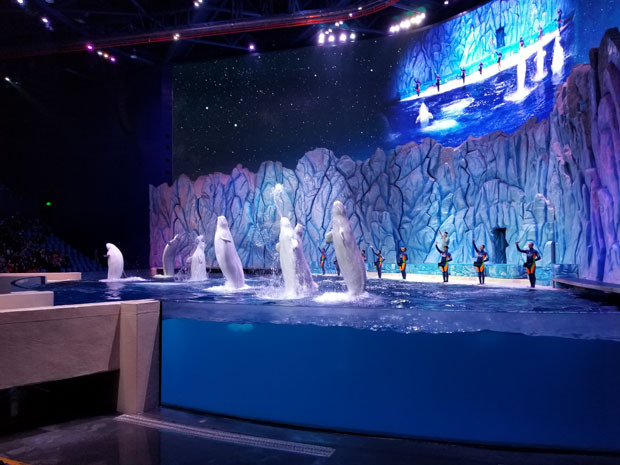 I did not know belugas could perform as they did in that show. They had the handlers literally surfing on top of the belugas! 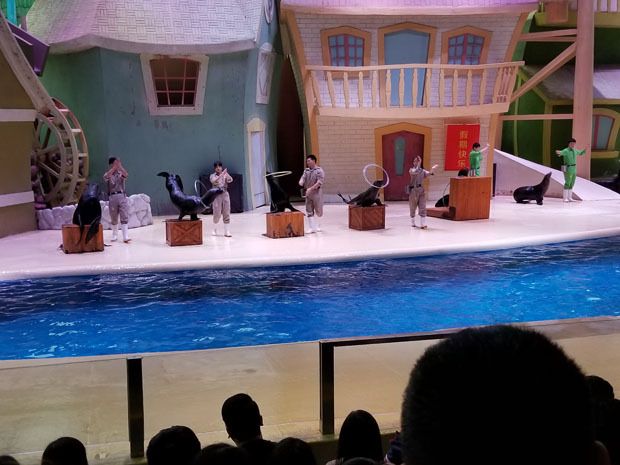 The sea lion show was great. Lot of neat tricks being shown. Spectacular beluga show. I did not know beluga could perform like this. Compared to the aquatic animal displays and shows, the amusement rides weren’t as mind-blowing, but they were still pretty good. The Flying Parrot roller coaster was fun, and so was the polar bear coaster/splash ride that got everybody very wet. There were also two daily parades and daily fireworks displays. We saw the night parade, and the parade carts were quite pretty. 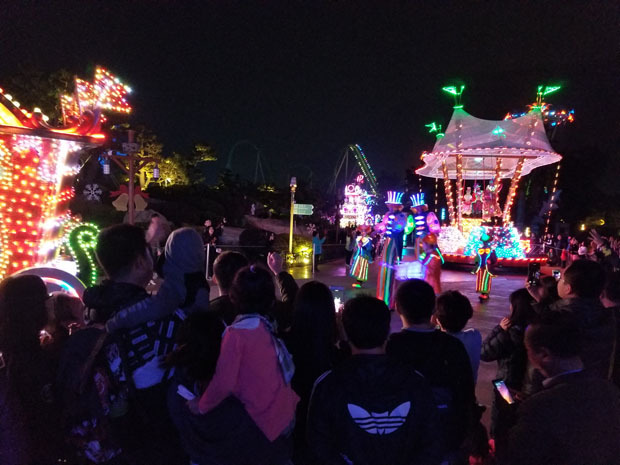 Like other big theme parks, Chimelong Ocean Kingdom also throws parades daily. Overall, we had a grand old time at Chimelong Ocean Kingdom. We were very fortunate that there wasn’t much of crowd, which is a rare occurrence in China for any sort of well-known destinations. I would definitely visit the park again if I were back in the area. I would also hope to visit the actual city of Zhuhai (the urban city center) and also try my luck in the nearby Macau.